Summer is fast approaching (despite how it feels on the East Coast), so many are starting to think about putting on a swimsuit, being healthier and (maybe) losing a little weight. But if you're a cocktail lover, you may not think of all the sugar your consuming when you through back a few. So, how do you look to save calories where you can? 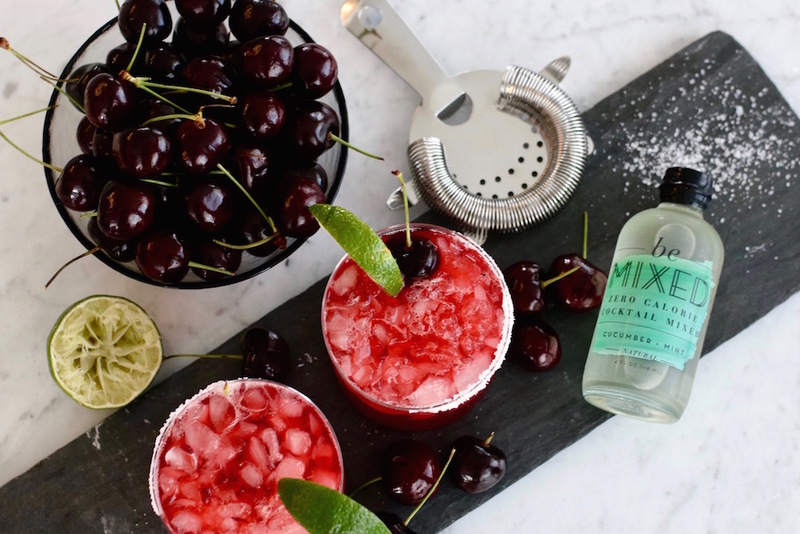 Be Mixed has an answer for those who like to serve themselves at home. 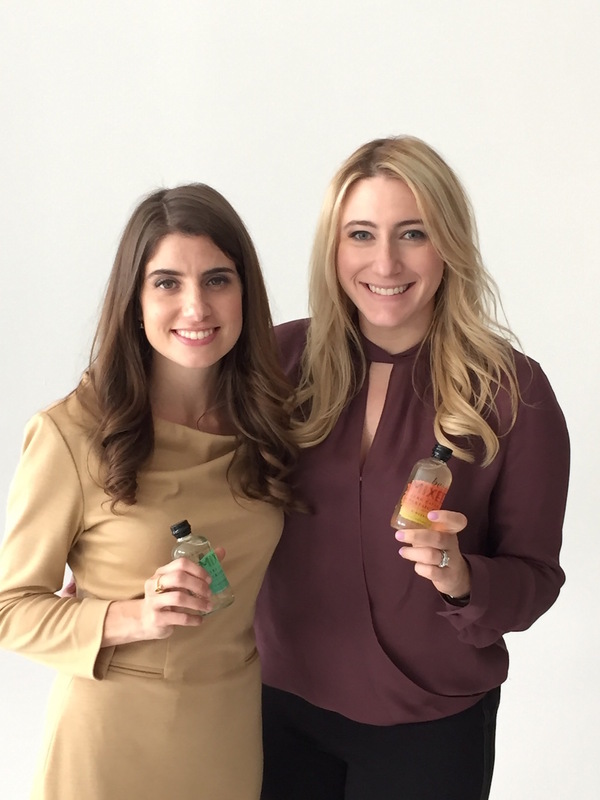 Friends turned partners Jennifer Ross (at right below) and Cristina Ros Blankfein launched the brand in 2015 with the aim of cutting back on sugar while still having a good time. I spoke with them about how they created the brand, breaking into the booze business and my greatest fear -- working with your friends. Where did the idea for Be Mixed come from? Jennifer Ross: We were sick of drinking vodka sodas. We wanted a great drink that didn’t have the sugar or calories. I am also a Type 1 Diabetic and so is my younger sister, so for years we would go out to restaurants or bars and ask bartenders to make drinks with less sugar or no sugar. And they would look at me like I had three heads or roll their eyes and say, “Well no, a cocktail needs to have balance…” So, the reality is I would always have the vodka soda with five limes. But in reality, it’s not just Type 1 Diabetics. All my friends would order cocktails, have a few sips and then go to vodka soda because they really didn’t want all those extra calories but they wanted to have the cocktail experience. It’s just different when you’re having a cocktail versus having a wine or a beer. We were both in the business world at the time so we started at looking at what was out there and literally nothing was sugar-free, zero calories, natural and tasted good. That was the impetus for all of it. Then we started to dig into why doesn’t it exist, can it not be made, and all of those things. That was the very beginning. Once you had the idea, how did you know that this could be a "thing" -- a real business opportunity? Cristina Ros Blankfein: Our first question was, “Does it not exist because you can’t make it?” As people who didn’t have backgrounds in the food industry, that was our first question. We knew that taste needed to be first and foremost because people care about what they put in their body but they don’t want to do it at the sacrifice of taste. That’s why we were running into what we were running into with vodka sodas. It doesn’t feel good to drink them because they don’t taste good. We ended up getting paired up with some mentors from school [Harvard Business School] who were food scientists. We worked with them and went to some of our favorite bars in the Boston area. We'd ask them to make our favorite cocktails and then pouring them into water bottles under the table. We would ask them to do it again without alcohol and then walk those back to the food scientists to have these dynamic conversations about how do we replicate these flavor compositions with no sugar profile. We did try to make it ourselves but what we learned was when you’re working with natural, non-nutritive sweeteners the balance has to be just so. It has to be done with a really fine-tuned instrument that they have to get the right parts to make the proprietary sweetener blend that we use. The reality is that we ask ourselves that all the time. It feels like the goal post keeps changing. The first time we got the formula, we had a product we really liked – actually on the first try we copied our cucumber mint flavor it was a one and done. Jen and I made it in a commercial test kitchen in Long Island City and we ended up pickling it. The flavor was off but we had bottles ready to go, they were correctly FDA compliantly labeled, they were produced in a food safe facility so we took it to trunk shows and events to just push through and figure it out. We had a grant from school that we had spent on that production run and people loved it. And we were thinking, “Oh, man! This product is nowhere what it really tastes like because we totally messed it up in the production facility – we overheated it." So, knowing people’s reaction to what we thought was a subpar product. We had sourced the label on 99 Designs – it just gave us so much confidence to say that people are truly thirsty – pardon the pun – for something in the market that is just a better option that takes into consideration health while enjoying the drinking experience. What's the inspiration for the brand name? JR: A lot of it is focused on the “be.” Be yourself. Be confident. Be whatever you want it to be. And then the “mix” is so people know what to do with it. So, it’s a little bit whimsical and a little bit practical. What has it been like getting into the spirits industry without creating a spirit? JR: The cocktail mixer category has been a sleepy one. The idea of mixing drinks and cocktails has been around forever but the actual stuff that’s sold on shelves hasn’t been changed for a while. So, the renaissance of the craft cocktail has been really exciting because its pushed people to come out with new products. Now you can take that whole experience and have it at home, you don’t have to necessarily go to the best bars in NY – anyone can be a part of that movement. But what we found was that no one was doing it without sugar. So, it’s been very exciting because we found a new way to approach it. How have bartenders responded to the products? CRB: I would say it’s been mixed. We do pitch it to bartenders sometimes, but we do focus more on the at home consumer. We portioned it out this way so it’s one bottle, one shot. It was just super easy and convenient. There’s an element of wanting to make the cocktail movement bigger in terms of making them more accessible. So doing that through people’s homes made a ton of sense. We’ve had some awesome support from bartenders from the beginning. [Former Belvedere Global Brand Ambassador] Claire Smith-Warner is a major no-sugar proponent and cares a lot from the industry perspective of seeing bartenders being healthier. She’s been a big supporter of ours and has introduced us to an awesome network of bartenders that really push us and question a lot of the choices that we’re making. They also suggest all sorts of different flavor combinations that we would have absolutely never would have come up with. We definitely rely on the trade and are increasingly starting to work more with restaurants and bars as they see that their customers are consistently asking for skinny or low-sugar drinks. Agave has also become an interesting bartender’s tool. The one thing that we’ve learned from bartenders is that they’re very creative so they’re always looking for what’s new, interesting and challenging to them. So taking sugar out has been really hard as Jen said given that the acid/sweet balance that you need a cocktail so this has been something that they really want to play with and learn about. 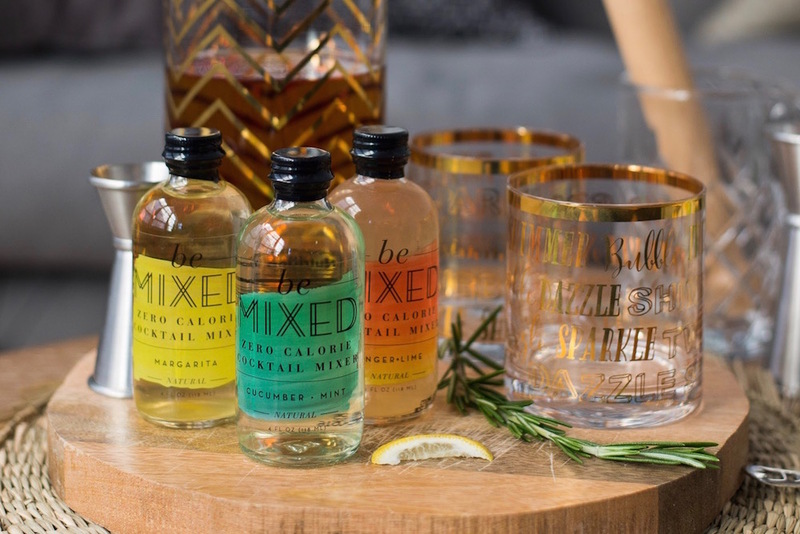 Be Mixed is also perfect for mocktails. JR: Mocktails weren’t something we thought about when we started but a third of adult Americans don’t drink so as we do events and tastings so many people come up and ask us if we can make our drinks without alcohol. The reality is people don’t want to have soda or juice. They don’t always want to be that person having sparkling water, so having mocktails have been huge for us because you can still have that cocktail experience without the alcohol. So everyone can partake in whatever way they want – whatever alcohol they want, no matter how much alcohol they want or if they want no alcohol at all. So, mocktails have been very big for us. Many people can't work with their friends. How do you all manage it? CRB: People always say that working with friends can be difficult but I feel the exact opposite. And maybe it’s because Jen rocks, so I’ve gotten to have an opposite experience. One of the better parts of working with a friend is there is this baseline trust and understanding that goes into it. We don’t have to learn into or prove that trust. You start with that. We divided responsibilities. Where Jen focuses on ops and finance, I focus on sales and marketing. I think having that relationship allows us to communicate in some kind of shorthand all the time as well as to really believe in the decisions that each of us is making. It also makes work really fun. Lastly, what's next for Be Mixed? JR: Seasonal flavors is something we’re constantly thinking about. Our bigger mission is to take sugar out of all drinks holistically. So we started with cocktails and are looking to go into other categories from there.